Texans love stories of pioneer settlers and heroes. Angelina Eberly fits the bill. Born in Tennessee in 1798, Mrs. Eberly married her first cousin, made the journey to Matagorda Bay on the Texas coast in 1822 and finally, with the help of several slaves, opened an inn and tavern in the new village of San Felipe de Austin on the Brazos River. After her husband died, Mrs. Eberly continued operating the hotel until Texans burned the town in 1836 to prevent it from falling into General Santa Anna’s hands during the Texas War for Independence from Mexico. After the war she married again and moved with her new husband in 1839 to the new Texas capital of Austin where they opened the Eberly Boarding House. History reveals Texas’ politics as contentious during the days of the republic as they are today. The constitution of the new republic allowed the president to serve only one, two-year term, which meant Sam Houston, first president and hero of the war for independence, stepped down to allow the election of his successor and nemesis Mirabeau B. Lamar. Immediately, the new President Lamar inflamed the already contentious political climate by appointing a site-selection commission that moved the capital of the republic from old Sam’s namesake city of Houston to a little village on the Colorado River in the wilderness of Central Texas. The builders had only nine months to erect a city in time to house the next legislative session. The new capital, which rose out of the forest was named “Austin,” in honor of Stephen F. Austin, the father of early Texas settlement. The temporary capitol, a plank-covered building with a dog run separating the two chambers, faced a wide dirt street named Congress Avenue. The other government agencies were placed in even less pretentious blockhouses made of logs cut from the plentiful cedar trees covering the hillsides. The president’s white house was constructed quickly of unseasoned pine from nearby Bastrop and placed on a high hill overlooking the town and the Colorado River coursing below. One of the early businesses was Mrs. Angelina Eberly’s Boarding House where President Lamar and his cabinet often dined. When Sam Houston won reelection in late 1841 for another two-year term, he took one look at the president’s crumbling house and refused to occupy the structure. The green timbers had dried and warped, causing cracks in the plastered walls and damage to the roof. Instead, President Houston moved into Mrs. Eberly’s Boarding House. Indians attacked individuals who dared to roam away from the capital. After dark, residents walked at their own risks in the town’s streets. Part of the defense plan included a six-pounder canon, loaded with grapeshot. Sam Houston and his supporters used the Indian threat as one of the arguments for moving the capital away from its location on the western frontier. Finally, when Mexican troops captured San Antonio on March 5, 1842, Houston moved the Congress to Washington, a tiny village on the Brazos River. Determined to keep the last symbol of the capital in their town, Austin residents demanded the republic’s archives, which consisted of diplomatic, financial, land, and military-service records, remain in Austin. When Mexicans invaded San Antonio again in December 1842, Sam Houston found his excuse for action. He instructed two army officers to take eighteen men and two wagons to Austin in the middle of the night and quietly remove the archives from the General Land Office. No one ever explained what Angelina Eberly was doing outside in the middle of the night, but when she saw the wagons leaving with the archives, she ran to the loaded cannon and fired it to warn the citizens of the robbery. With most of the republic’s business handled in Washington, Austin struggled for several years, the population dropping below 200 and its buildings deteriorating. Finally, in 1845 a constitutional convention approved Texas’ annexation to the United States and named Austin as the state capital. In 1850 Texas residents finally voted to officially designate Austin as the Texas capital. Ever eager to find a good business location, Angelina Eberly moved in 1846 to Lavaca (present Port Lavaca) where she leased Edward Clegg’s Tavern House while she surveyed the coastal area for the best location for her business. Upon seeing nearby Indianola becoming a thriving seaport, she moved down the coast and opened her American Hotel. At the time of her death in 1860, her estate appraised at $50,000, making Mrs. Angelina Eberly the wealthiest citizen of Calhoun County. Today, Austin residents honor their cannoneer with a larger-than-life-size bronze sculpture at the corner of Congress Avenue and Seventh Street. about the man who beat her in the bid for a second term. 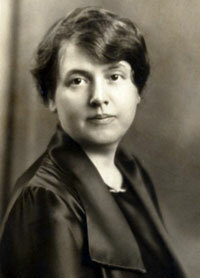 Ma Ferguson was Texas’ first female governor. Daniel James Moody, Jr. set a record number of firsts: the youngest, at age twenty-seven, elected as Williamson County Attorney; the youngest district attorney at twenty-nine; the youngest attorney general of Texas at thirty-two; and the youngest governor of Texas at thirty-four. Dan Moody was a tall, redheaded young man in a hurry. He entered the University of Texas at seventeen and began taking law courses two years later. He started practicing law before he finished school, and then served in the National Guard and the U.S. Army during WWI. The year he returned to his home in Taylor after WWI, his political career got underway. The circumstances that propelled him into state and national attention occurred while he served as district attorney of Williamson and Travis counties at the peak in 1923 of the Ku Klux Klan’s resurgence. The national KKK preached white supremacy and hatred of blacks, Jews, Catholics, immigrants, gamblers, and people who broke the law. In Williamson County the Klan targeted a young salesman, R. W. Burleson, who stayed on business trips at the home of a young widow. A Baptist preacher and anti-Catholic lecturer sent a note that bore the seal of the Georgetown KKK No. 178 to Burleson in which the preacher warned Burleson to end his relationship with the young widow. Burleson burned the note and threatened to kill any Klan member who bothered him. On Easter Sunday in 1823, Burleson, the widow and another couple were stopped on a country road by two cars bearing eight or ten men wearing robes and hoods. The men dragged Burleson from his car, hit him with a pistol, threw him in one of the cars, and took off with his feet still hanging out the door. They placed a heavy trace chain around his neck and tied it to a tree. Holding a pistol to his head as warning not to cry out, the KKK members removed his clothing, and used a four-foot long, three-inch wide leather strap to lash Burleson’s naked back with about fifty licks. Throughout the beating Burleson was questioned and threatened. Finally, he was loaded into a pickup, driven to the lawn of the Taylor City Hall and fastened by the chain to a tree. They poured tar or creosote over his head and body and left him there in the darkness of early evening. Five men were arrested, the local Klan collected funds to retain the best legal team, including a state senator and his brother. Enormous crowds and media from all over the United States came to hear the trial of each defendant. By the time the last man was sentenced to prison, District Attorney Don Moody—the first prosecuting attorney in the United States to win a legal battle against the Ku Klux Klan—had launched his political career. Despite the Klan’s opposition, Dan Moody was elected Attorney General in 1925 at the same time Miriam “Ma” Ferguson won her first election as governor. Within a few months scandals began developing over highway contracts. Moody took the case to court and proved that $32 million in contracts—three times their actual value—had been awarded to Ferguson friends. He sealed his political future by traveling to Kansas City and Dallas to retrieve about $1 million of the state’s cash and securities that had been paid for the contracts. Armed with claims of Ferguson fraud, Dan Moody challenged the sitting governor in one of Texas’ nastiest political campaigns. 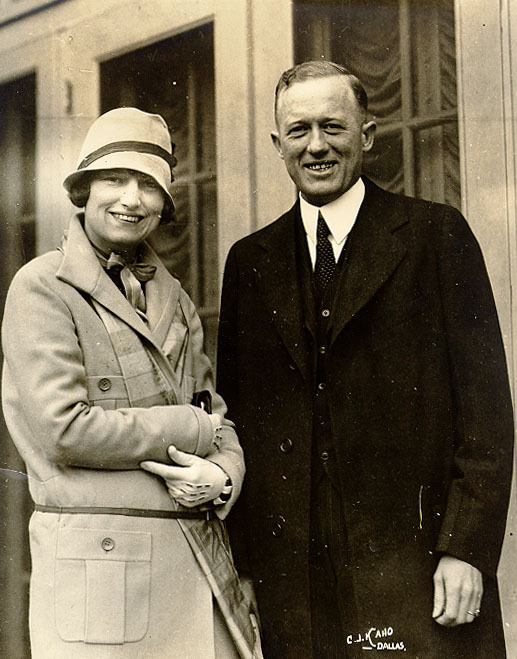 Moody had married Mildred Paxton, a newspaperwoman, just as the campaign got underway, and the press labeled it the “Honeymoon Campaign.” While Dan Moody focused his charges against the Ferguson’s corruption, Jim Ferguson made speeches for his wife’s reelection in which he called Mildred a “lipstick” that would chase Moody around the governor’s Mansion with a rolling pin. On a platform supporting prohibition, woman suffrage, and other positions that the Fergusons opposed, Daniel Moody handily beat Miriam Ferguson. 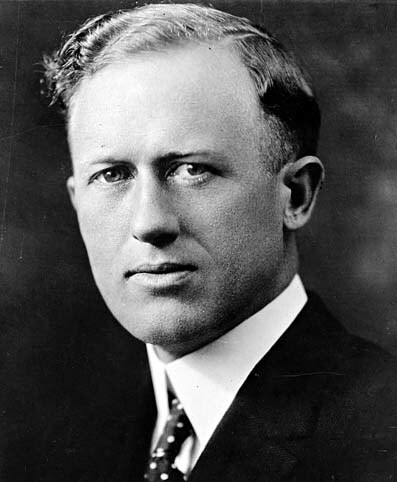 In addition to becoming Texas’ youngest governor, Moody’s inauguration was the first to be held outdoors; it was the first to be broadcast on the radio and received national coverage because of Moody’s fame; and it was the first Texas election that denied a sitting governor a second term. As a reform governor, Moody served two terms—ending the Ferguson’s convict-pardon policies, reorganizing the state highway department, including a program for a connected network of roads and cutting the cost of highway construction by almost half. He also created an office to audit state accounts. At the end of Moody’s second term, he returned to a private law practice, and after coming in third in the 1942 primary for the U.S. senate, his only political defeat, he never again ran for public office. He became known as an opposition leader to the New Deal and to the renomination for a fourth term of President Franklin Roosevelt. 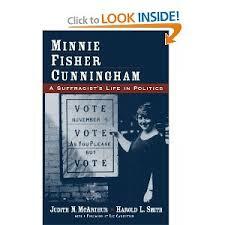 He supported Lyndon Johnson’s rival in his election to the U.S. Senate in 1948. As a Democrat, Moody supported Republicans Dwight D. Eisenhower for both his presidential victories and Richard M. Nixon for president in 1960. Dan Moody represented the conservative faction in the Democratic Party that eventually led, with the Nixon campaign, to the wholesale movement in Texas of Democrats to the Republican Party.